Summer has arrived and as this is written the weather is amazing. Our units continue to offer a great variety of activities many of which will be outdoors to take advantage of the longer days. Members from our County will be joining others from London and South East England Region on trips to Ecuador, Cambodia and Malawi as well as a County Trip to Croatia. Units have also undertaken the relevant qualifications to take girls away and some units have already visited France and Euro Disney and others plan to go to take Rangers to Prague and Vienna. Numerous trips are in the planning stage to enjoy weekends at various local campsites as well as Wellies and Wristbands at Foxlease, Blacklands, PGL and the many other amazing campsites all around the UK for anything from a weekend to four or five days. Sleepovers arranged for Rainbows, canal boat weekends for Guides, days out at Icando in London all of which have been organised by our committed, volunteers in addition to the weekly meetings. April 2018 County Newsletter is now available on our Members Page, you will need to log in with your Membership number and date of birth. May newsletter will be available soon. 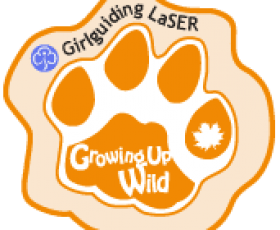 Brownie and Rainbow Day 22nd September 2018 will be once again held at Girlguiding Chigwell Row Brownie and Rainbow Day and around 1500 Rainbows, Brownies, their leaders and unit helpers are expected to attend this year's event. The variety of activities planned continue to be breathtaking and once again thanks are due to Yvonne Chigwell Row Warden and the Campsite crew for all their hard work as well as Pam our Asst County Commissioner, who all help to make the day a success. Parliament Week 2018 Plans for the 2018 events are in full swing in many units. Have you booked your event for November 2018. Lots of opportunities for our girls and leaders to find out all that happens in Parliament and opportunities for girls to get their voices heard? Many Units were visited by their Member of Parliament and local Government Councillors and Mayors and debated with enthusiasm, things that matter to them. Do sign up for your activities pack and badge and you can look forward to a great event.